The Woman in Black DVD and Blu-ray artwork released by Momentum Pictures Home Entertainment in the UK. 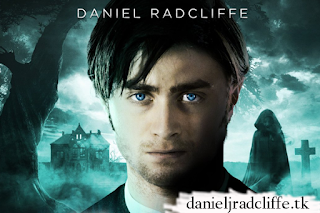 Based on the classic ghost story, The Woman In Black tells the tale of Arthur Kipps (Daniel Radcliffe), a lawyer who is forced to leave his young son and travel to a remote village to attend to the affairs of the recently deceased owner of Eel Marsh House. Working alone in the old mansion, Kipps begins to uncover the town's tragic and tortured secrets and his fears escalate when he discovers that local children have been disappearing under mysterious circumstances. 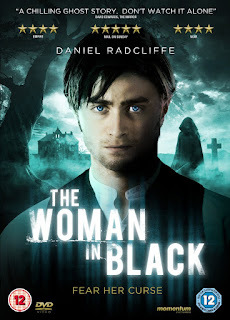 When those closest to him become threatened by the vengeful woman in black, Kipps must find a way to break the cycle of terror.